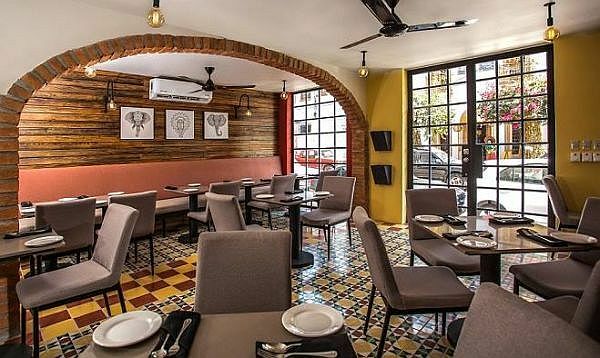 The latest from successful restaurateur Michael Bufford, Siam Cocina Thai is located on Calle Francisco I Madero 271, next to Bravos on the south side of Puerto Vallarta. Try it out, you won't be disappointed. Puerto Vallarta, Mexico - People living in large cities in the USA and Canada may not understand all the excitement from those living in Puerto Vallarta surrounding the recent opening of a new restaurant, Siam Cocina Thai. The local restaurant scene is varied and excellent, but for those of us that love authentic Thai food, this opening has been a big deal and highly anticipated. Siam Cocina Thai launched last week and I was sure to be among the first to try it, to see if the restaurant, the latest from successful restaurateur, Michael Bufford, who also owns the popular Bravos Restaurant, would live up to the hype. The décor of the restaurant, designed by interior designer, Mike Hickman of Casa Vallarta Interior Design, is lovely and sets the perfect ambiance, but we took our food to-go... as you do with two kids and no babysitter on a Friday night. We started off with the spring rolls, which were excellent. We shared three mains: Beef Panang Curry that was perfectly spiced with melt-in-your-mouth beef, delicious Cashew Chicken, and a Shrimp Pad Thai that was a favorite, with plump shrimp and noodles cooked to perfection. The addition of an authentic Thai restaurant in Puerto Vallarta is very welcome and I am happy to say that Siam Cocina Thai exceeded my expectations. It will be one of my go-to restaurants and somewhere I will certainly recommend to my clients and friends. Siam Cocina Thai is located at Calle Francisco I Madero #271, next to Bravos. Try it out, you won't be disappointed.